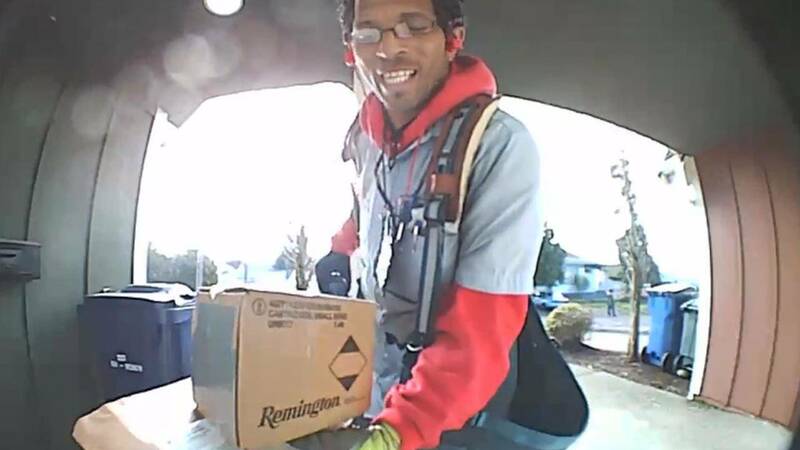 A mail worker is earning praise for his personal touch when it comes to delivering packages foran exchange caught on a doorbell security camera. When the worker, who was not identified, showed up at the doorstep in Washington state to leave a package, the homeowner informed him through the security system she was not there and told him to leave the parcel at the door. Fearful of porch pirates, however, he offered to hide the package in a recycling bin. "Oh yeah! That would work!" the homeowner replied, sounding delighted. Social media fell in love at the sweet move. "A great employee who truly cares," wrote one person. "Such a sweetheart," chimed in another. Inside Edition caught up with the homeowner, Karissa Basalyga, who declared the mail worker to be "awesome." "I don't think I've ever had a mailman take such care, intentional care with a package," she said.